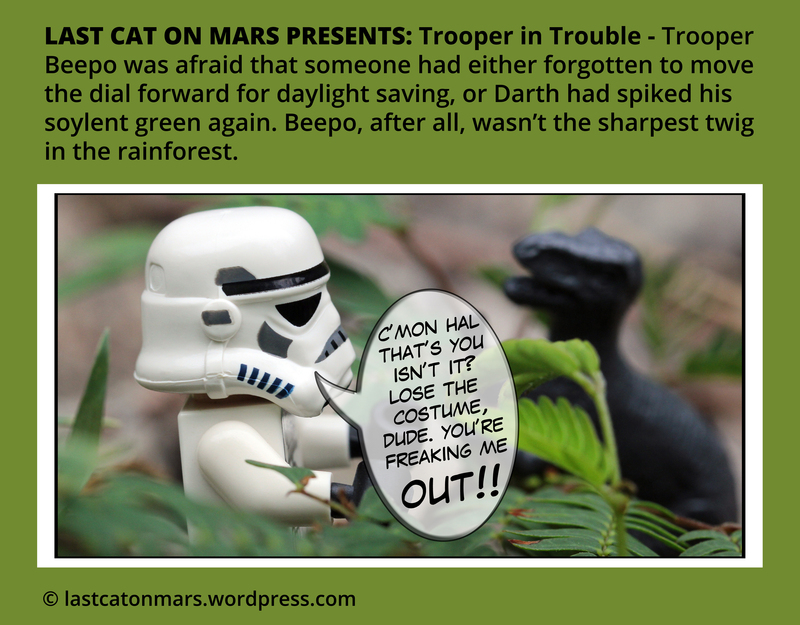 This entry was posted in Variety Show and tagged Last Cat, lego, mime, minifigures, rocket, sailor, Stormtrooper on January 31, 2015 by Jay Verney. 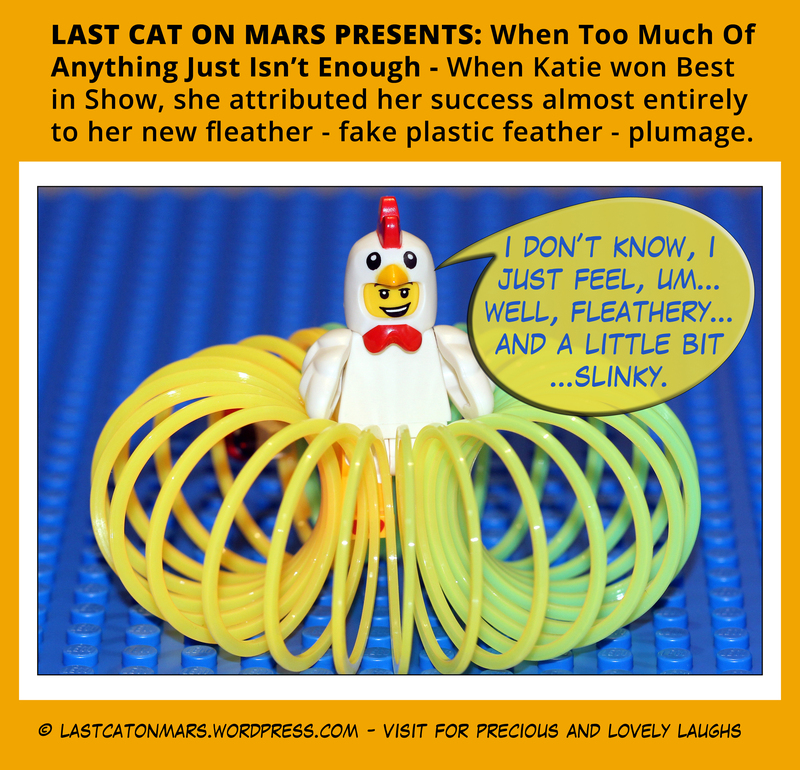 Last Cat On Mars Presents: Businessman and Gerbil – An Imperfect Fit? 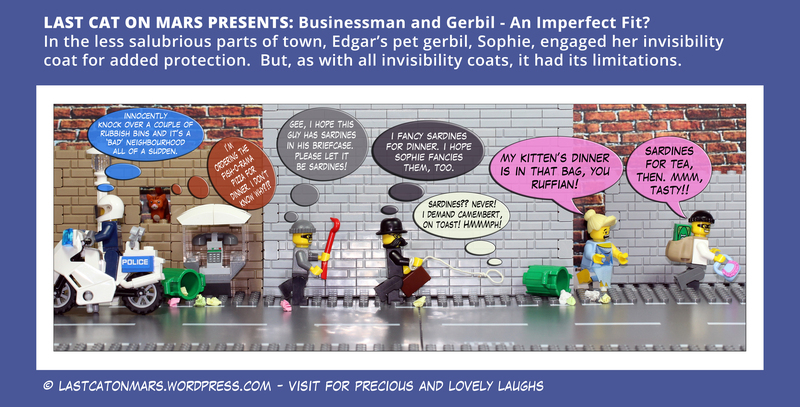 This entry was posted in Variety Show and tagged businessman, gerbil, invisible pet, Last Cat, lego, minifigures, police officer, robber on January 26, 2015 by Jay Verney. 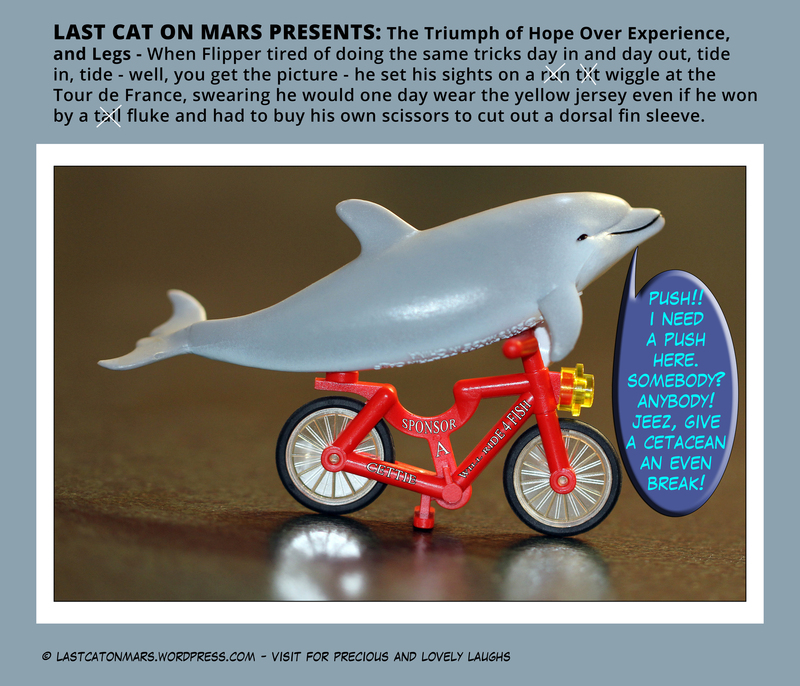 This entry was posted in Variety Show and tagged bicycle, cetacean, dolphin, Flipper, lego, tour de france on January 21, 2015 by Jay Verney. This entry was posted in History, Space, Variety Show and tagged dinosaur, lego, minifigure, Storm Trooper on January 11, 2015 by Jay Verney. 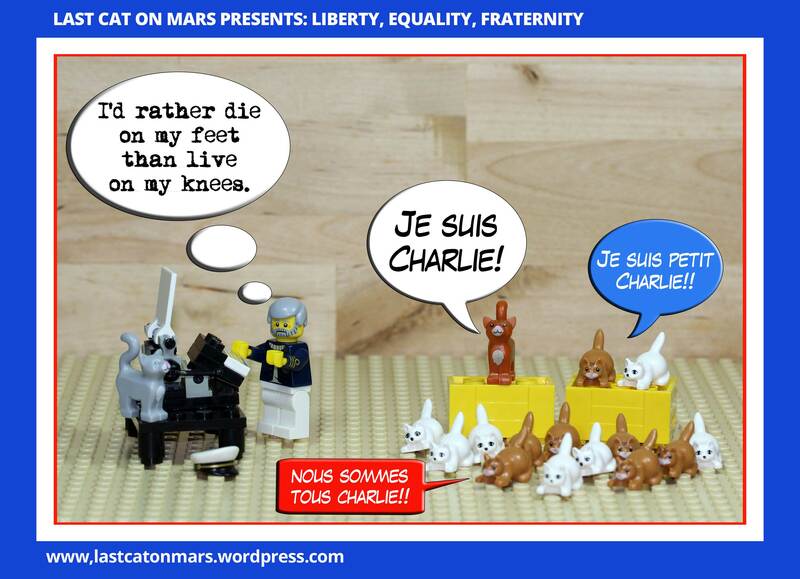 This entry was posted in Special Occasions and tagged cats, Charlie Hebdo, France, Je Suis Charlie, Last Cat On Mars, lego, minifigures, Paris, Stephane Charbonnier, typewriter on January 8, 2015 by Jay Verney. 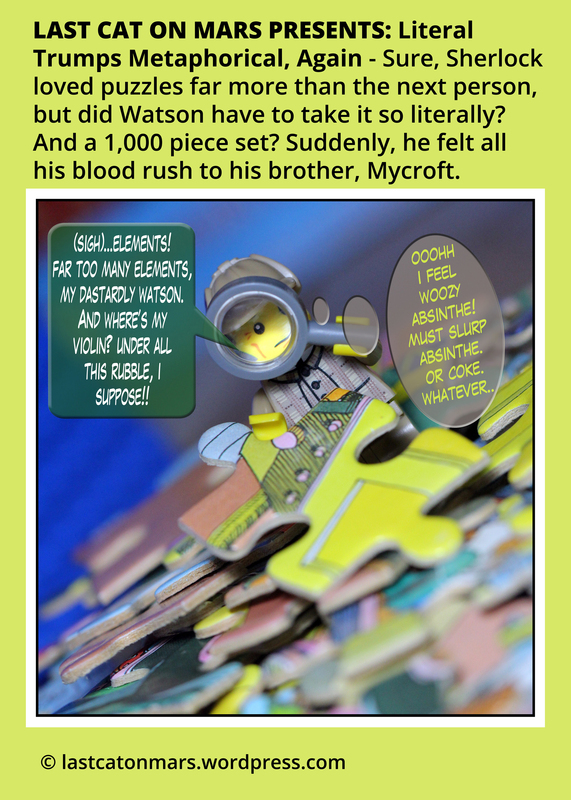 This entry was posted in Variety Show and tagged jigsaw puzzle, lego, minifigure, Sherlock Holmes on January 6, 2015 by Jay Verney.